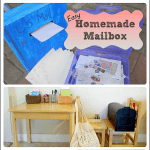 Last week’s gift themed Discover & Explore linky was full of so many creative gift ideas! 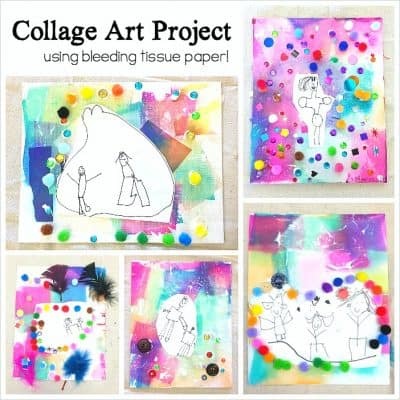 There were tutorials for homemade gifts for both kids and adults to make, creative ways to wrap gifts with handmade paper, and all kinds of gift ideas for kids. 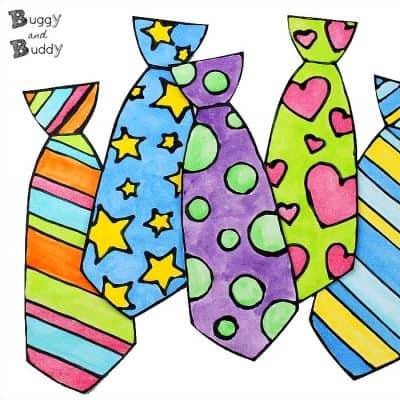 This week I’m featuring some unique gift guides for kids that were linked up last week. I love seeing all the gift guides that are posted this time of year. 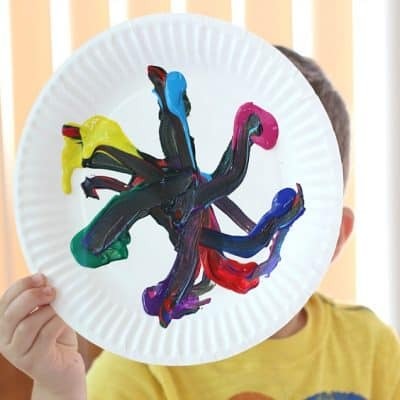 It seems like there’s ideas out there for any interest your child has! That’s what I love about these featured posts. 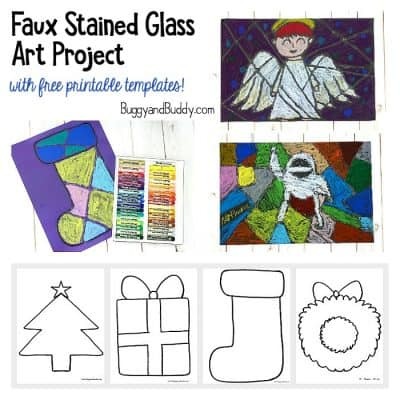 They are all really unique and are perfect if you’re looking for creative gift ideas for kids! 1. 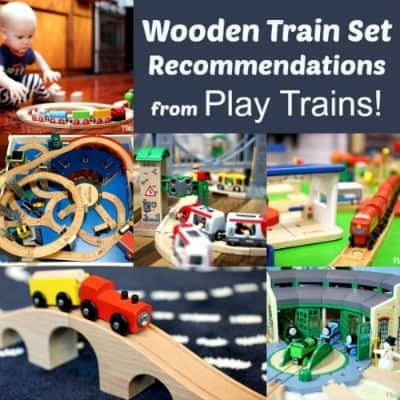 If you’re looking for train sets, you’ll want to check out this detailed and comprehensive Guide to the Best Wooden Train Sets from Play Trains! 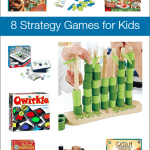 Jessica is THE train expert and has options for your child’s first wooden train set or ideas for adding more pieces. 2. 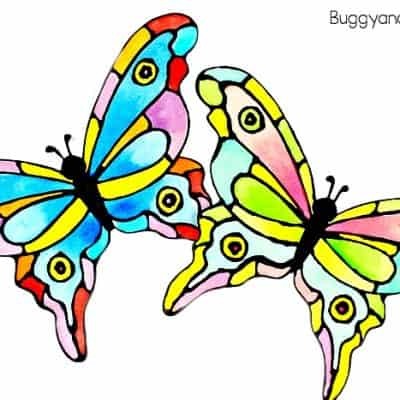 Check out Natural Beach Living’s Ultimate Natural Gift Guide if you’re looking for organic or eco-friendly gifts this year. 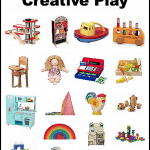 It includes beautiful toys that will last for years! 3. 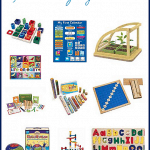 What Do We Do All Day shares a fun gift guide~ Math Gifts for Kids. 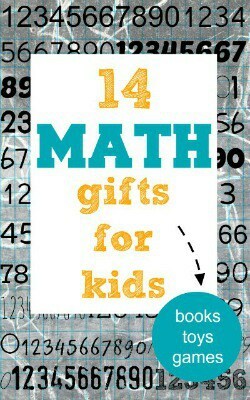 Not only are the gift ideas great for math loving children, but, as Erica points out, a fun math gift might encourage other children to learn to love math as well! 4. 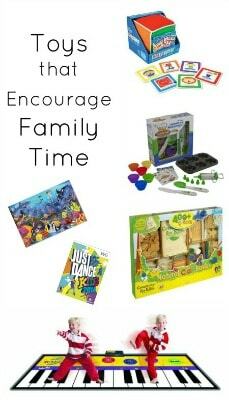 I am in love with Fantastic Fun & Learning’s gift guide: Gifts that Encourage Family Time! 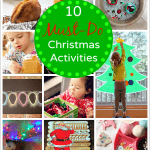 Shaunna shares some gift ideas that provide opportunities for spending time together! 5. 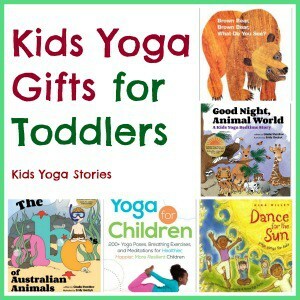 I know quite a few people that will love the gift ideas on this list from Kids Yoga Stories! 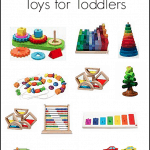 10 Yoga Gifts for Toddlers is full of a wide range of ideas for any yoga loving family (mine included)! 6. 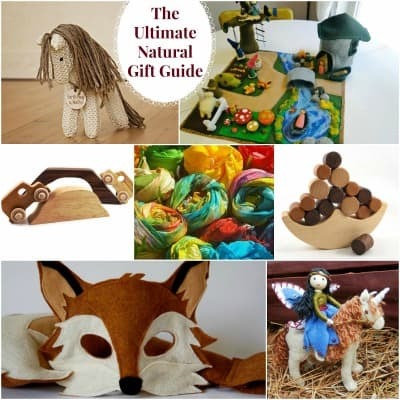 If you’re looking for gift ideas for nature loving children, you have to check out My Nearest and Dearest’s Ultimate Gift Guide for Nature Kids! 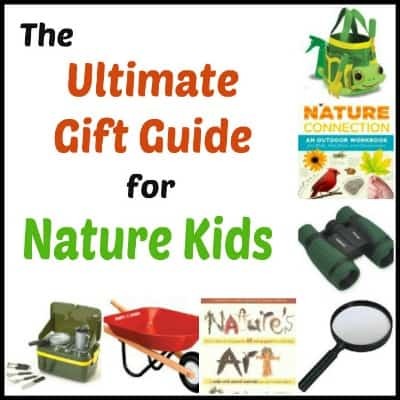 It includes gift ideas for all kinds of nature play from gardening to camping! 7. 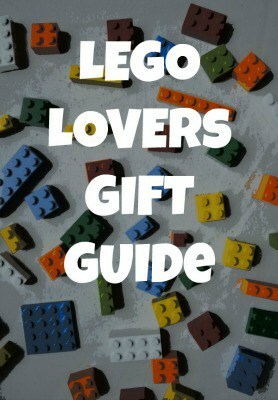 This Lego Gift Guide from The Pleasantest Thing is perfect for all your little Lego fans! I couldn’t believe there were so many neat Lego themed ideas out there I’d never heard of! 8. 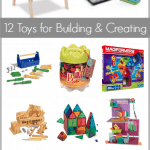 Over the last few week’s I’ve put together a few gift guides like 20+ Learning Toys & Games for Kids in the Elementary Grades and 16 Colorful Wooden Toddler Toys. 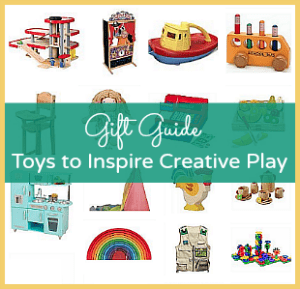 But, my favorite gift guide provides all kinds of toys perfect for encouraging creative play~ 50 Gift Ideas for Kids to Inspire Creative Play! 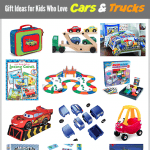 Oooh, what a cool collection of gift lists! Thank you so much for featuring ours! 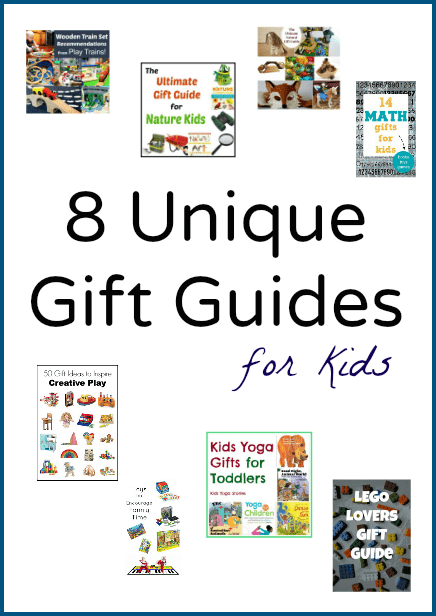 Great collections of gift guides! Love these guides! And thank for including my guide!